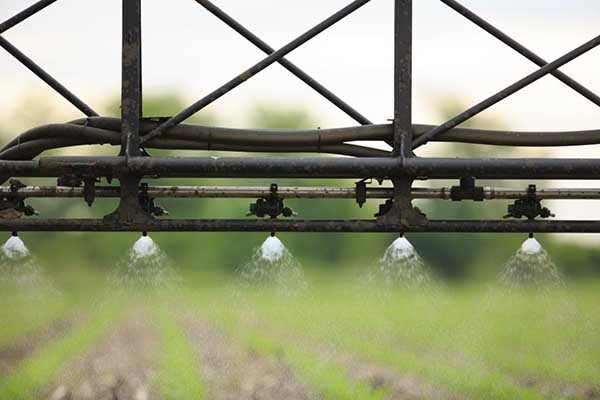 Reviewing planting dates in crop insurance products may be prudent as planting season approaches. This article provides a summary of earliest and final planting dates associated with the COMBO crop insurance product. The COMBO product includes farm-levels plans such as Yield Protection (YP), Revenue Protection with harvest price exclusion (RPwExcl), and Revenue Protection (RP). Dates presented in this article apply to those plans. Also, the decrease in prevented planting payment factor for corn is described. Illinois has three sets of counties with differing earliest planting dates (see Figure 1). Earliest planting dates in southern Illinois counties are April 1 for corn and April 15 for soybeans. Earliest planting dates in central Illinois are April 5 for corn and April 20 for soybeans. Earliest planting dates in northern Illinois are April 10 for corn and April 24 for soybeans. Acres planted before the earliest planting date are not eligible for replant payments if those acres need to be replanted. 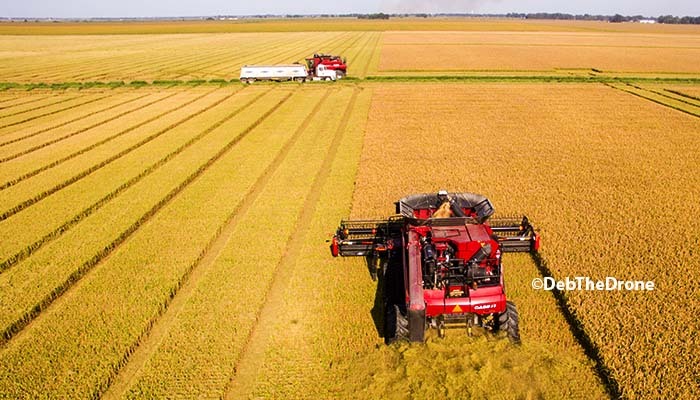 These acres will still receive full coverage for yield or revenue losses if good management practices are followed. For example, take RP with an 80% coverage level having a 190 bushel Trend-Adjusted Actual Production History (TA-APH) yield. With this year’s $3.96 projected price, the minimum guarantee is $602 per acre (190 bushel TA-APH yield x $3.96 projected price x .80 coverage level). The $602 per acre guarantee is in effect whether acres are planted before or after the earliest planting date. As is the case with planting after the earliest planting date, good farming practices must be followed on acres planted before the earliest planting date. For acres planted before the earliest planting date, this may be a particular issue if the early planted acres result in a poor stand. If good farming practices dictate those acres should be replanted, those acres need to be replanted even though those acres will not receive replant payments. In most cases, the replant payment for corn will be $31.68 per acre for corn and $30.57 per acre for soybeans. The $31.68 corn replant payment equals 8 bushels times the projected price of $3.96 per bushel. The $30.57 soybean replant payment equals 3 bushels times the projected price of $10.19. The 8 bushel corn and 3 bushel soybean factor remain the same across years. Projected prices vary by year, resulting in varying replant payments across years. The $31.68 corn and $30.57 soybean payments are maximum payments. If a farm has APH yield below 40 bushels for corn or 15 bushels for soybeans, the replant payment will be the APH yield time 20% times the projected price. 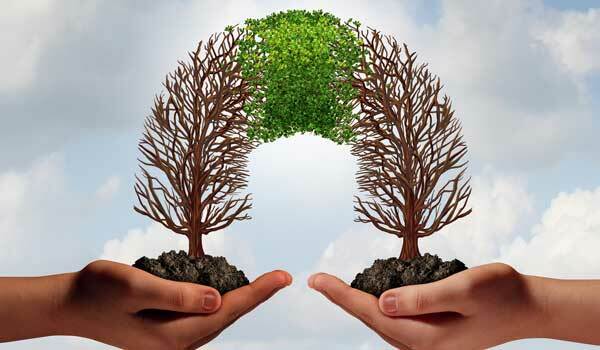 Before replanting, a farmer should discuss replant with the crop insurance agent, assuring that requirements are met to receive replant payments. Final planting dates for corn are June 5 for all counties except for seven counties in southern Illinois (see Figure 2). 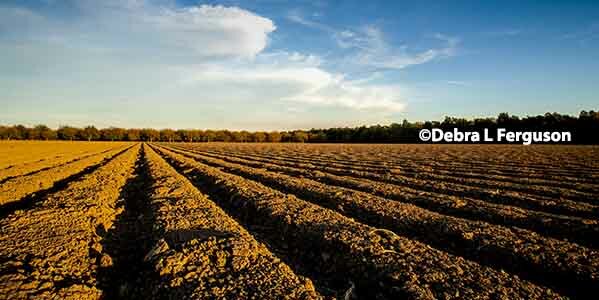 The southernmost counties have a final planting date of May 31. For soybeans, counties in the northern one-third of the state have a final planting date of June 15. The remaining counties have a final planting date of June 20. Taking prevented planting payments becomes an option if acres have not been planted by the final planting date due to weather problems. 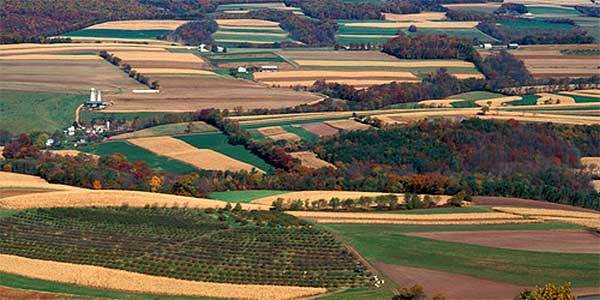 For a farmer to take a prevented planting payment, prevented planting must be prevalent within the area. 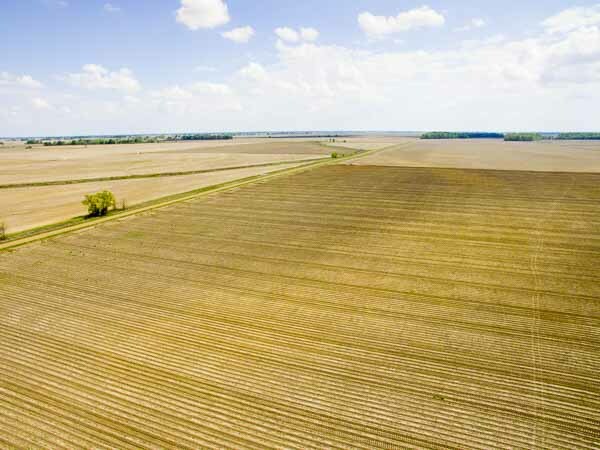 The prevented planting payment is 55% of the final guarantee for corn, unless the farmer opted for a higher percent level at crop insurance sign-up. The prevented planting factor for soybeans is 60%. As an example, take a corn RP policy with an 80 percent coverage level having a 190 bushel TA-APH yield. The projected price for 2016 is $3.96. This policy has a minimum guarantee of $602 per acre (190 bushel APH yield x $3.96 projected price x .80 coverage level). The prevented planting payment will be $331 ($602 x .55). Farmers cannot plant another crop during the late planting period (25 days after the final planting date.) After the late planting period, another insured crop can be planted, usually resulting in reductions in the prevented planting payment to 35 percent of the above calculated amount. In double-crop situations, obtaining the entire prevented planting payment may be possible. 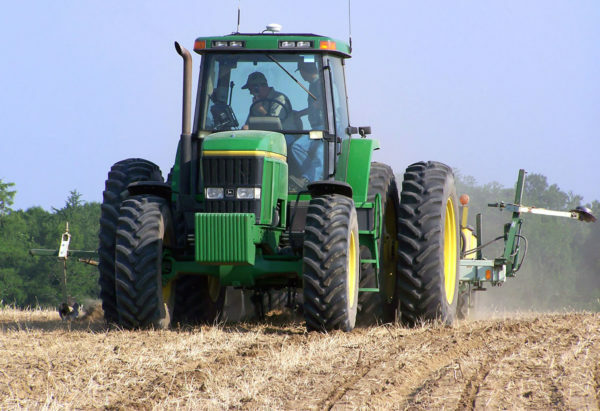 Planting after the final planting date: Farmers can plant after the final planting date; however, the guarantee will be reduced by 1 percent per day after the final planting date up to 25 days after the final planting date. After 25 days, the guarantee will be 60 percent of the guarantee. In the above example, a farmer had a minimum guarantee of $602. Assume this farmer is in a county with a final planting date of June 5. If corn is planted on or before June 5, the minimum guarantee is $602 per acre. Planting corn on June 6 will result in a guarantee reduction of 1 percent or $596 per acre ($602 x .99). Planting on June 7 results in a 2 percent reduction, or $590 per acre ($602 x .98). After 25 days the guarantee is 60% of the original, or $361 ($602 x .60). If prevented planting comes into play, alternatives should be discussed with a crop insurance agent. Prevented planting alternatives can be complex, particularly where double-crop soybeans coverage is available. Prior to 2017, the prevented planting factor for corn was 60%. In 2017, the prevented planting factor for corn has been lowered from 60% to 55%. Soybean’s prevented planting factor has remained the same and equals 60%. More detail on this change is provided here on the Risk Management Agency’s website under Prevented Planting Changes for 2017. The lowering of the prevented planting factor for corn will lower prevented planting payments, potentially changing decisions relative to taking prevented planting. By planting before the earliest planting date, acres are not eligible for replant payments. However, those acres still receive full coverage for losses due to reduced yields or revenues. Final planting dates impact the availability of prevented planting payments.